The world is becoming very flat and very small. In other words, we're more connected than ever before. Things that seemed "exotic" twenty-five years ago are very common today. How does this affect the Small and Medium Business consultant? For more details on this series, visit smallbizthoughts.com/events/global. 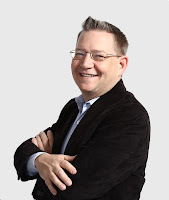 Our June guest is Chris Worman, TechSoup’s Senior Director, Marketing and Communications. Chris formerly worked in TechSoup’s Warsaw office supporting their Global Partner network, and prior to that, operated their partner NGO in Romania. With the combination of Chris’ knowledge of the TechSoup Donations, and other Programs, along with his practical experience operating and supporting NGOs that operate the TechSoup donation programs in other countries, he is the perfect person to provide insight on how to best leverage the TechSoup programs from various countries. UPDATE: This webinar was recorded and may be found at smallbizthoughts.com/events/global. - Vijay Nyayapati from Computer Support Company in Auckland, NZ. Join us in Redmond – or get all the material recorded after the event! This year’s SMB Preday Seminar is on Build Your Brand Through Successful, Profitable Service Delivery. It will be 100% practical and up to date. This year’s SMB Preday seminar will include some “workshop” sessions to help you get started building your processes and branding. Branding is much more than marketing. We’ll look at branding from several angles, including both internal processes and the face you present to clients and prospects. I guarantee you’ve never see s seminar like this in the Small Business consulting community! Your Registration includes a recording of the entire workshop – at no additional cost! One of the on-going themes for the year at Small Biz Thoughts is This is a Year to Thrive. One huge of “thriving” is to build a business that does exactly what you want it to do. It markets to the right prospects. It signs the right clients. It offers the right services. It hires the right people. … and executes them perfectly. And it fulfills the long-term goals of the owners. All of that – ALL OF THAT – is branding. Marketing is an important piece of that, but everything else is also an important piece of that. Good SOPs make all the difference in creating long-term success in your service business. This seminar brings together these two topics in one four-hour workshop. You will walk away with some standardized processes. But more importantly, you’ll walk away with a process for creating, implementing, and fine-tuning SOPs. We will also talk about successful project management in the small business space – and then help you create a standard process for managing all of your projects going forward. If you’re ready to stop pondering and Take Action to build standard operating procedures and build a successful project management system, register now! You should plan on a lot of audience participation. Everyone has experiences to share. We will finish with a specific timeline action plan to help you transition to your new operating model. 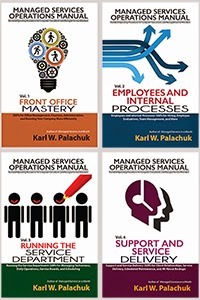 Karl W. Palachuk is a Managed Service Provider, a business coach, and the author of fifteen books. His books include Managed Services in a Month and The Network Documentation Workbook. 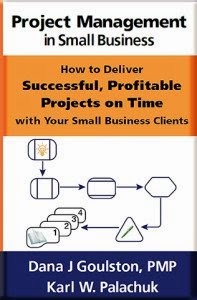 His latest books are Project Management in Small Business and The Managed Services Operations Manual – a four volume set! Karl has been named SBSer of the Year by SMB Nation; he has frequently appeared on the MSPmentor 250 list and the SMB 150 list by SMB Technology Network (SMBTN) and SMB PC magazine. And he was just named as one of the ChannelPro SMB 20/20 Visionaries. In the build-up to their big MAXfocus users conference in September, the good folks at MAX are holding a series of "MSP Expert" webinars. Choice Technologies uses MAXfocus to deliver security services. Steve Rutkovitz, CEO of Choice Technologies will reveal their secrets for success as an MSP. Utilizing their trademarked “Assess. Address. Maintain.” Choice demonstrates business value from security as a service. Choice has racked up impressive numbers and margins - developing a security service offering over the past four years. • MSPs looking to move towards Security as a Service can learn from one of the best success stories in the Channel. The previous MSP Experts webinar got rave reviews. This one should be great! You can check out past webinars and other MAXfocus videos on their YouTube channel at https://www.youtube.com/user/Maxfocus/videos. Join Amy Babinchak and Philip Elder as they introduce Be The Cloud. 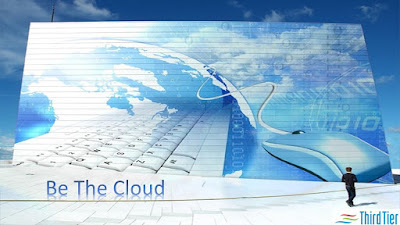 Be The Cloud is a hardware/software solution designed and built by our own Philip Elder. You know Phil as the Cluster MVP, Hyper-V expert at Third Tier and all around hardware guru. He’s also a former SBS MVP and has taken all of this knowledge and rolled it into a solution so IT firms can make good money providing a cloud solution to clients. It’s called Be The Cloud, because that is what it does for you and your clients are going to love it. The webinar launch will give you an overview of what this looks like from your clients point of view and for your bottom line. For more information right away, visit the Be The Cloud page at Third Tier. I got a note from my friends over at MAX today. The new MAX Backup solution will be based on per-device pricing, with no charges for data storage. This is great news, especially for larger clients whose data store seems to keep growing. Now you can offer them flat-fee backup pricing, which makes budgeting much easier. If you're a current MAX user, you'll find the backup setup on your dashboard menu. See below. If you want a free 30 day trial, Click Here and fill out the form. EDINBURGH – 9 June 2015 – LogicNow has today announced the launch of its new pricing strategy for MAX Backup. MAX Backup is part of MAXfocus, the world’s most widely trusted managed service provider (MSP) and IT support platform. MAX Backup becomes the first full disaster recovery solution to be charged per device for both servers and workstations, rather than by data usage. The move makes it more practical for MSPs and IT service providers to sell comprehensive disaster recovery services with predictable costs for themselves and their customers. The new MAX Backup pricing model will make it much easier for IT service providers to offer a full mission-critical Disaster Recovery as a Service (DRaaS) solution - delivering the most up-to-the minute protection and minimizing time to recovery by making standby images available in as few as five minutes after failure. This combination of best-in-class recovery point and recovery time objectives with certainty about costs to them and their customers puts MSPs in a position to satisfy even the most demanding of customer requirements. MAX Backup will offer a flexible charging model based on data usage for customers backing up smaller amounts of data that may not require a per device pricing structure. LogicNow was created when GFI Software restructured to support rapid growth across its portfolio. LogicNow, which includes MAXfocus (formerly GFI MAX), IASO hybrid cloud back-up and ControlNow (formerly GFI Cloud and Mail Essentials Online), delivers SaaS technologies under a subscription model. As the world’s most widely-trusted managed service provider & IT support platform, MAXfocus has a decade of technology expertise, the backing of a 12,000-strong community and the industry vision to define and deliver the future of the MSP market. IASO is one of the leading brands in hybrid cloud backup, disaster recovery software and cloud storage for MSPs, large enterprises, telecommunication and hosting providers. ControlNow is an IT management solution for thousands of corporations and is winning market share from traditional on-premise competitors as companies’ IT becomes more complex and fragmented and the need for management in the cloud increases. SMB Nation is holding an online "Connected Event" August 4-5 focused on Office 365, Windows 10, and Azure. "Bringing together Office 365 and Win10 experts, thought leaders, and a wide range of IT Professionals, THE Get Connected event provides you the opportunity to gain the knowledge, skills and tools you need to support your organization. Learn how to incorporate the industry best practices at more than 20 educational sessions tailored to Office 365 and Win10. Join us to learn and explore bench marking features of Office 365 and Win 10 via this two day online conference August 4 and 5th, 2015, from the comfort of your desk." The fun starts at 7:00 AM (Pacific) on Tuesday, August 4th. Sessions go through 4:00 PM that day. On the 5th, sessions are 7:00 AM until 1:30 PM. Information on all the sessions, plus registration information is all here (getconnected.o365nation.com). You know what I haven't seen in the MSP / SMB community? A Twitter chat! Maybe I missed it. But I don't think I've ever seen a Tweet chat or Twitter chat in this community. So I'm going to hold one. If it seems successful, I'll look into doing it again. A Twitter chat is an online event in which a number of Twitter users get together at a pre-determined time to discuss a specific subject. The organizer selects a #hashtag, which is used by everyone who participates or lurks. For watchers/lurkers and participants, it's easiest if you use a tool such as Hootsuite or Tweetdeck to follow the action. Generally, the organization starts with a few questions and gets the conversation going. Participants respond to one or more questions. As you can imagine, it's possible to have two or three conversations going at once within the #hashtag "channel." 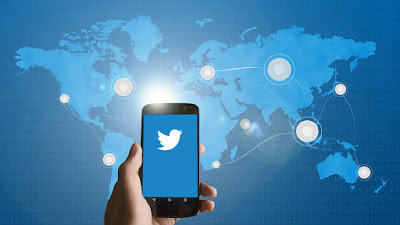 Just as with online forums or newsgroups, Tweet chats work best if people are courteous and respectful to one another. I think we'll start with a 30 minute chat. If it's going strong, we can hang out longer. And I promise to invite some really smart people to participate. Including YOU! Off the top of my head, I think the following topics would be good. If you're interested in something else, please fill out the form! The form also has options for days of the week and times of the day. So you can leave comments here, but please also fill out the form.
. . . And we'll see how soon we can get this going! This morning the Windows Blog announced that Windows 10 will be available July 29th. You can "Reserve" a copy - for free if you have the right operating system - at Windows.com. Click Here. 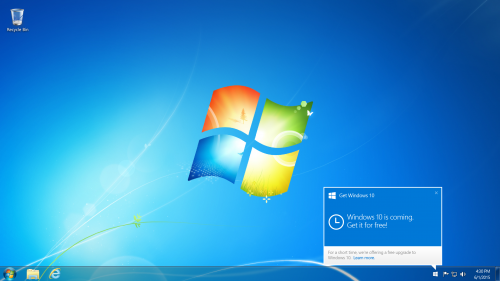 And click here for Questions About the Free Upgrade to Windows 10. The official announcement is on the Windows Blog Here. Now I have to repeat some information I posted yesterday: You might want to sign up for the FREE Windows 10 launch events being sponsored by Windows10Update.com and SMB Nation. See that post here: Windows 10 Tour Stops.